Research conducted during the past two decades, which some might describe as the “golden age” of Mars-directed planetary exploration, has taught us a tremendous amount concerning the formation and evolution of the red planet. 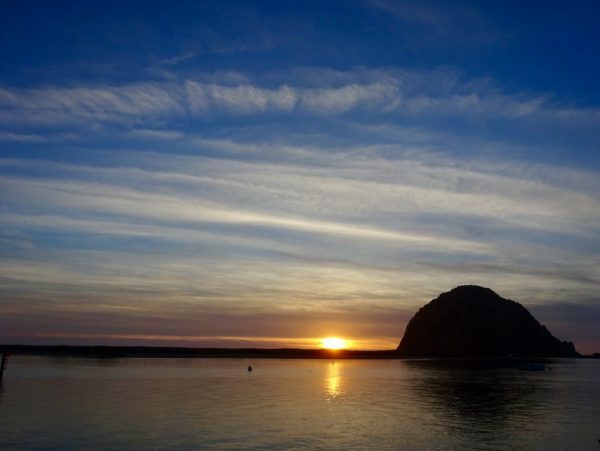 At the same time, however, scientists’ observations have raised many new questions, and as we continue to explore we learn more every day about exciting new areas such as Mars’ ice ages and climate variations, the role of water, the timing of volcanism, the rate of impact cratering, and many other processes. 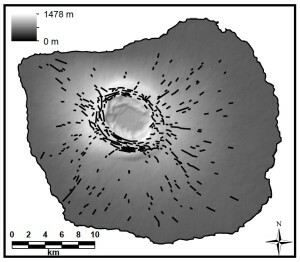 Recently, in a study that connects observations ranging in time from the Viking missions in the 1970’s right up to the present, I worked with colleagues from JPL (Laura Kerber, PO ’06) and Brown University (including my former Ph.D. advisor Jim Head) to investigate the formation of unusual polygonal ridge networks on Mars (Figure 1). How do these ridge networks form and what insights, especially into groundwater circulation on Mars, might they therefore provide? 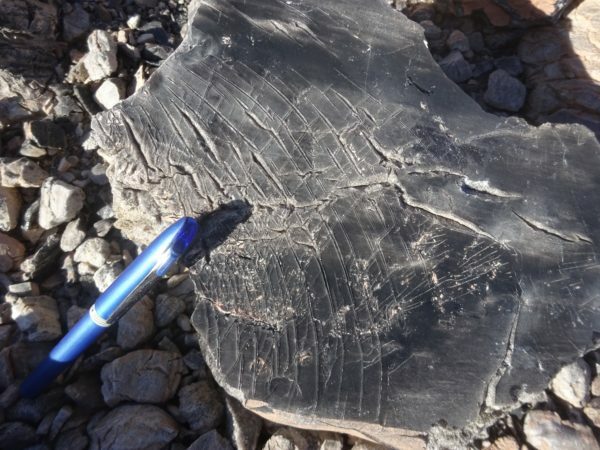 As is often true, the answer is complex: several different mechanisms seem to operate, though all share in common an origin linked to fractures that were later infilled by materials more erosion-resistant than their surroundings. 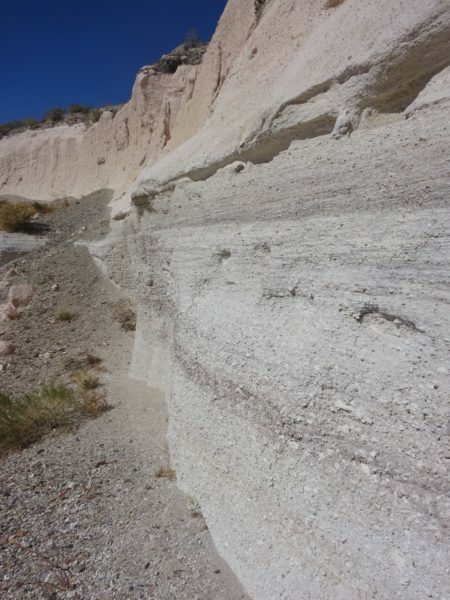 Based on their geologic setting, their spatial correlation (or not) with other chemical and/or hydrological signatures, and their weathering behavior, many polygonal networks appear to have originated as fractures infilled by hydrous mineral deposits, while other networks are more likely fracture systems infilled by magma and/or lava in the near-surface environment. 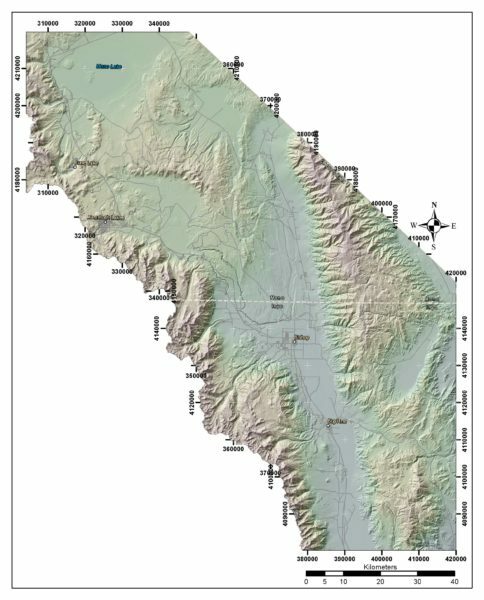 Still other networks may have been infilled by sediments that were later preferentially cemented, rendering them more resistant to regional erosion, but the origin of this feature class remains somewhat enigmatic based on observations available to date. 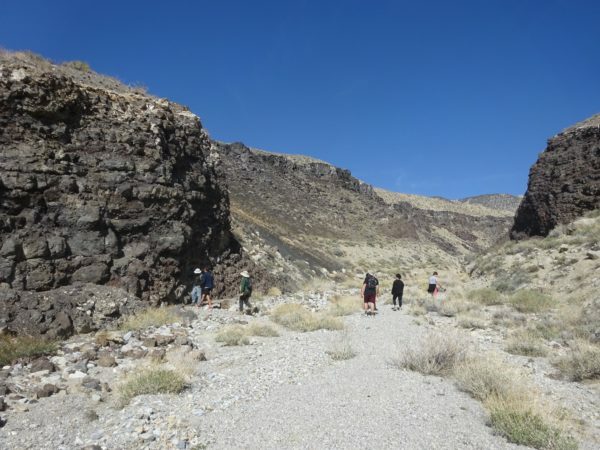 A great deal remains to be learned, and our initial study makes it clear that as more high resolution data become available new polygonal ridge network examples will continue to be identified, expanding our understanding of these intriguing geologic features. Indeed, as of early 2017 citizen-science volunteers are encouraged to get involved in the search for new examples, with results potentially being used to direct future observations by the HiRISE camera and similar instruments currently in orbit around Mars (see below)! 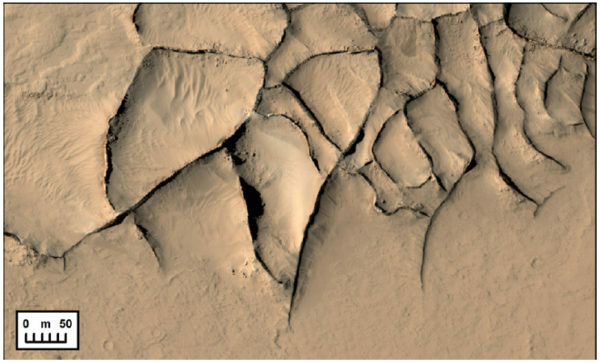 Figure 1: A HiRISE color close-up of a polygonal ridge network in Gordii Dorsum, Mars (ESP_045409_1915). Kerber, L., J.L. Dickson, J.W. Head, and E.B. Grosfils, Polygonal ridge networks on Mars: Diversity of morphologies and the special case of the Eastern Medusae Fossae Formation, Icarus, 281, 200-219, 2017. JPL News article describing current polygonal ridge network results. Join in the citizen-science effort to locate new examples of the polygonal ridge network phenomenon. As described in a previous post, giant radial dike systems may be commonly observed on Earth and Venus but that doesn’t mean they’re easy to form! 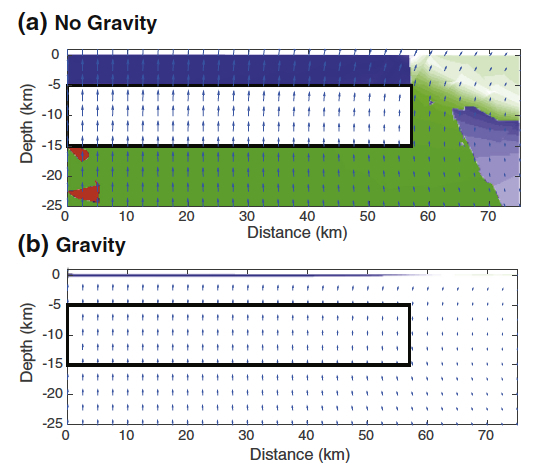 In a paper recently published in the Journal of Geophysical Research-Planets, Dr. Nicolas Le Corvec, Dr. Gerald Galgana, Dr. Patrick McGovern (colleagues from the Lunar and Planetary Institute in Houston, TX) and I show that mechanical layering — i.e. 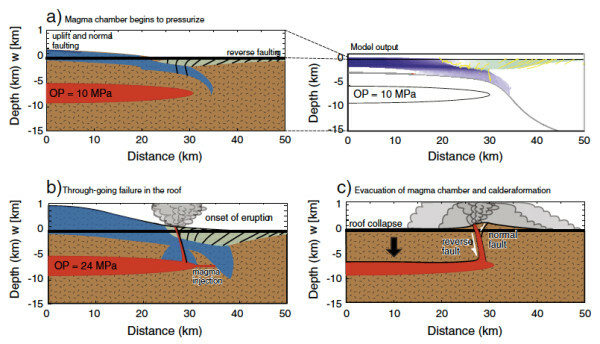 including crust and mantle layers explicitly within a modeled lithosphere — can help promote radial dike formation and long-distance propagation. 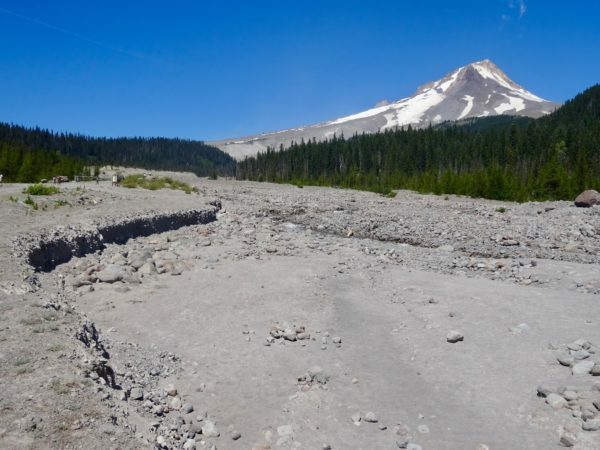 Specifically, when a mechanically layered lithosphere flexes due to either surface or basal loading (e.g., in response to edifice growth or plume impingement), radial dikes formed by rupture of an inflating magma reservoir can in some circumstances propagate for 100’s of kilometers. 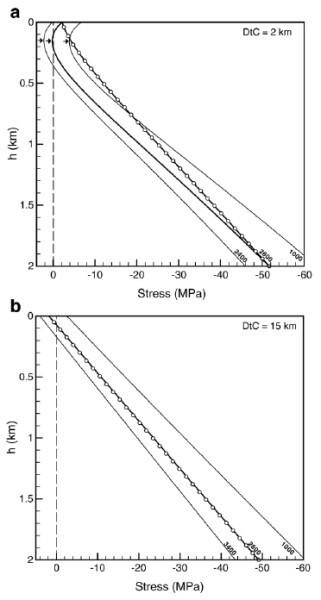 In addition to providing new mechanical insight into giant radial dike swarm formation, our results are also important because the lateral extent of giant radial dike systems can, in theory, provide a new way to constrain the ratio of crust and mantle lithospheric layer thicknesses on Venus. For more information: Le Corvec, N., P.J. McGovern, E.B. Grosfils, and G. Galgana, 2015. 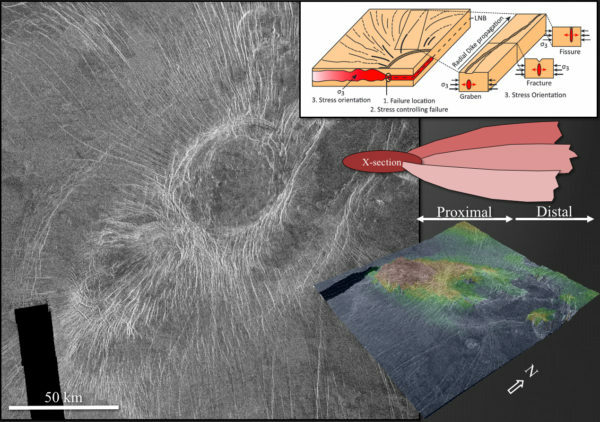 Effects of crustal-scale mechanical layering on magma chamber failure and magma propagation within the Venusian lithosphere. 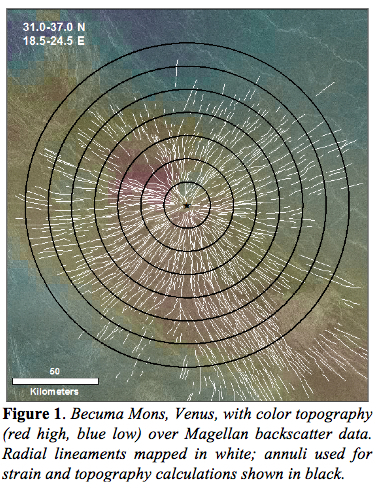 Journal of Geophysical Research-Planets, 120, doi:10.1002/2015JE004814. In December of 2014 I attended my second IAVCEI sponsored conference focused on collapse calderas. 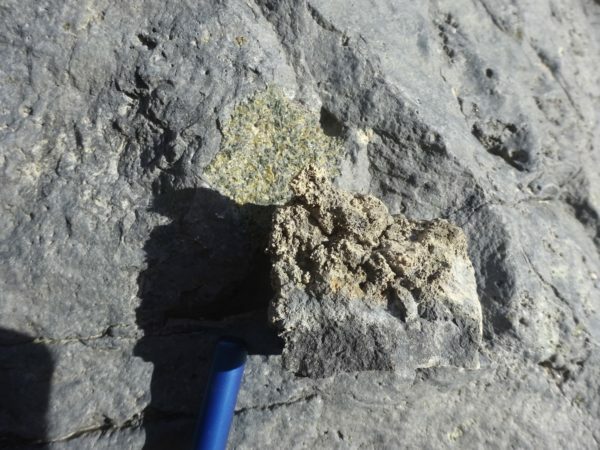 Happily, the conference took place in and around Lake Taupo within the Taupo Volcanic Zone on the north island of New Zealand, site of one of the youngest known “supereruptions” on Earth. 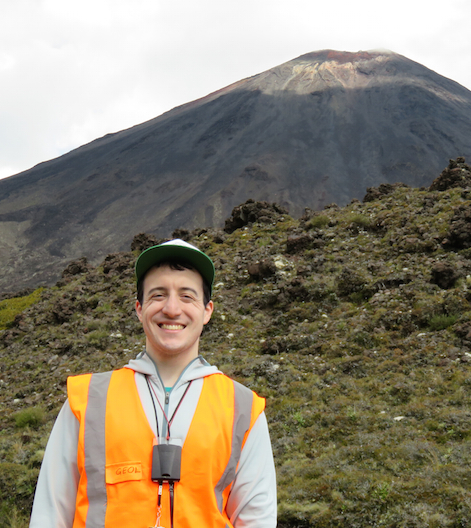 With two days of conference presentations and discussion, bracketed by field days spent exploring the Taupo and Rotorua calderas and other local volcanics, the conference was a great opportunity to continue advancing our understanding of the chemical signatures, mechanical processes and field deposits that characterize large caldera formation. After the conference I treated myself to a Lord of the Rings day, albeit one that continued to explore a strongly volcanic theme! Driving north from Taupo I first visited the Hobbiton movie set, located within scenic ignimbrite deposits. After enjoying Hobbiton I drove south past Lake Taupo to have a quick look at Mt. 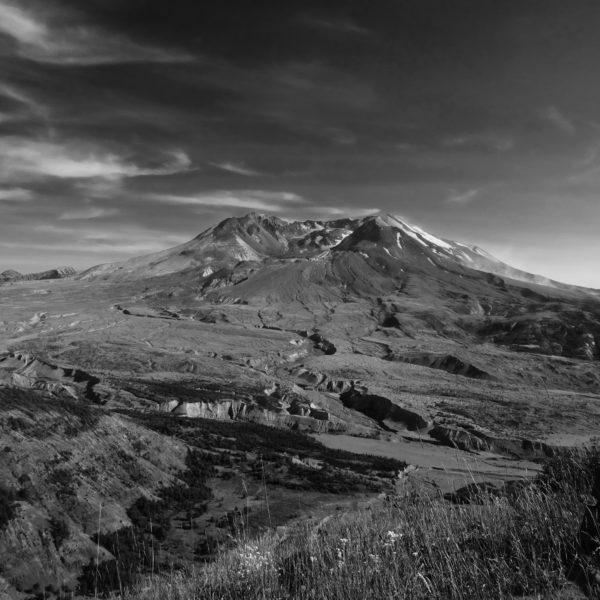 Doom (Ngauruhoe) and two adjacent volcanoes (Ruapehu, Tongariro) within Tongariro National Park. I didn’t have enough time for a tramp, but will look forward to that on my next visit! 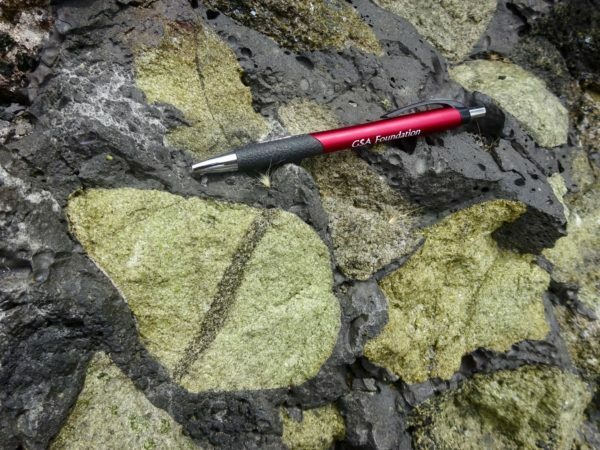 With conferences in Bolsena, Italy and now in Taupo, New Zealand setting a high standard, I look forward very much to the next IAVCEI caldera conference, which will be held in Hokkaido, Japan in the Fall of 2016!